In people who have chronic lung problems and compromised immune systems, exposure to Aspergillus mold can cause the infection, aspergillosis. Symptoms include wheezing, coughing, chest pain and fever. Aspergillosis is an infection or allergic reaction that caused by various kinds of molds. Aspergillus is a type of mold that is very commonly found when we do test areas for mold or do air sampling for mold testing and analysis. It can cause problem for people who have chronic lung issues or for people who have weakened immune systems. People who have undergone chemotherapy or had an organ transplant are more susceptible to aspergillosis due to weakened immune systems. According to the Cleveland Clinic (https://my.clevelandclinic.org/health/diseases/14770-aspergillosis): “Pulmonary aspergillosis is most likely to develop in people who have chronic lung disorders or damaged lungs. These people are likely to have abnormal spaces in their lungs where the fungus can grow. The fungus can also rarely infect sinuses and ear canals. The mold spores can colonize (grow) inside lung cavities that developed as a result of chronic diseases, such tuberculosis, emphysema, or advanced sarcoidosis. The fibers of fungus might form a lump by combining with white blood cells and blood clots. This lump or ball of fungus is called an aspergilloma or mycetoma. In some cases, a fungus ball may be present in other organs of the body. Invasive aspergillosis, the most severe type, occurs when the infection travels from the lungs into the bloodstream. Other organs, such as the kidneys, liver, skin or brain, may become infected. This is a very serious condition that may result in death if not treated. People with very weakened immune systems are more susceptible to invasive aspergillosis. Other risk factors include a low white blood cell count, long-term use of corticosteroid drugs, or hospitalization. If reaction reoccurs over time damage and scarring of lung tissue can occur. Often people think of dong mold testing when they are buying a home and want to know as much as they can about the home. However mold testing and other indoor air quality testing such as VOC testing. 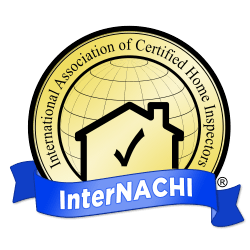 If someone in your home is getting sick or not feeling well, consider a moisture inspection and then possibly a mold test to help ensure a healthy home. Also is a loved one is going through chemotherapy or an organ transplant you definitely want to ensure their safety.